Our passion is designing beautiful and comfortable smiles through the best dental care. In the process of achieving this we provide excellent restorative, preventative and cosmetic dentistry. Our commitment to these goals provides to you unparalleled service with a high standard of dental care in a comfortable pampering environment. Our team is committed to making your visit a pleasurable and enjoyable experience. Heather is a true Oregonian, born and raised by wonderful parents in Canby along with her younger brother. After graduating from Moody Bible Institute with a BS in biblical studies, she had the opportunity to live in Israel for 2 months. We were lucky enough to bring her into the dental world to put her smiling, happy disposition to work! When she is not in the office, you can usually find her out on a ranch riding horses. She is a cowgirl through and through! She also enjoys traveling, art, and church activities. She loves to help and encourage those around her and says there is always something to be thankful for! Debbie W. has been with us since 2005. After Dental Assisting school, she worked as an Oral Surgical Assistant for four and a half years then decided to continue in general dentistry. She alsoreceived her EFDA certificate. Debbie and her husband have two children. She mostly enjoys spending time with her family, especially outdoors. Debbie L. helps with administrative tasks and many behind the scenes needs. She started out with Dr. Westover in 2009 as a financial coordinator and loves the associations she has developed with patients and team members over the years. She is always available to help if you have any questions or concerns. Outside the office, she enjoys spending time with her husband and four children watching movies, doing outdoor activities, or playing sports. Tammy L. has been in the dental field since 2001. She started her dental career with insurance and billing. 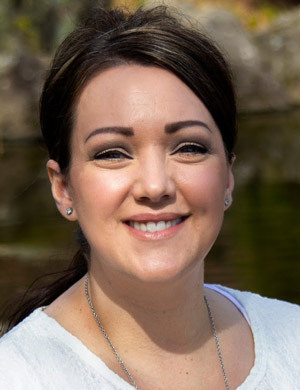 With the encouragement of her two brothers, who are dentists, she pursued dental hygiene and graduated from the Utah College of Dental Hygiene in 2007. An Arizona native, Tammy practiced in the Phoenix area for 7 years before moving to rural Montana where she practiced for almost 5 years. A transplant to Oregon in 2018, Tammy is enjoying the beauty (and moderate climate) of the Pacific Northwest. Outside of the office, Tammy enjoys reading, music and riding with her husband on his motorcycle. They have six children together and spend lots of time with them playing games of all varieties and traveling when schedules allow. Kurrisa was born in Vancouver and moved to Salem when she was seven years old. She received her Bachelor of Science in Dental Hygiene from Oregon Institute of Technology. She has a passion for oral health and meeting the needs of each individual patient. She enjoys getting to know her patients on a personal level and strives to make each dental visit a positive experience. In her spare time, she loves being outdoors and exploring new places. She also enjoys a quiet weekend at home with her family, her husband, and her cat, Toulouse.